Buying a Home in New Jersey? Great! But You Should Check Out the Tips in This Episode Before Doing So! Make Sure Your American Dream Does Not Become a Nightmare! Home ownership is part of the American Dream! It is something we all, to some extent, hope for. But oftentimes that dream becomes a nightmare because all of the proper steps are not taken, or not done correctly. That can turn your home into a money pit! 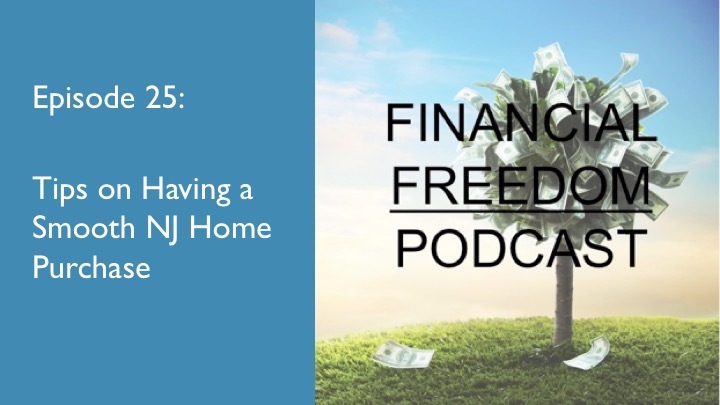 So in this episode of the podcast, I am going to talk about the steps you need to take here in New Jersey to minimize the chances of disaster. Every case is different (and you should have an attorney represent you) but these tips should give you a good idea of the pitfalls out there and how to avoid them. Need a Good Realtor for Your Purchase in South Jersey? Talk to Lynn Stambaugh of Cardinal Real Estate! Pre-Qualify for a Mortgage Before You Shop! Domenic Postorivo with Greentree Mortgage Can Help! Get Good Homeowner's Insurance! Talk to Dave Strout of Cettei & Connell in Woodbury, NJ!